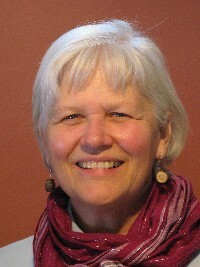 In 1988, Dorothy Friesen wrote an illuminating book on Philippine development, “Critical Choices: A Journey with the Filipino People.” Ms. Friesen was the founder and Director of Synapses, an organization that links domestic and international issues; she was also the co-director of the Mennonite Central Committee in the Philippines. Dorothy is a Body Talk System Practitioner. In this book, “Critical Choices” part travelogue, part personal odyssey, part economic and social analysis, Dorothy outlined challenges of the Philippines and the important steps that the country need to tackle to get out of its crisis of poverty. She vividly described her experience living in the Philippines as she offered reflection on and analysis of the Philippines under President Ferdinand Marcos and Corazon Aquino. 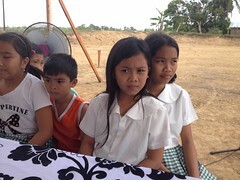 But most of all, Dorothy outlined some clear steps to alleviate poverty in the Philippines. In 2011, I found the book illuminating and relevant as when it was originally published. However, I felt a tinge of sadness that not much has changed in twenty-two years; Dorothy’s insights and suggestions were ignored. 1. In 1988, income inequality in the Philippines remains high. The inequity in land ownership and the resulting poverty of rural Filipinos form the basis for agrarian unrest and discontent (Friesen, page 31). In 2011, income inequality in the Philippines remains high. The poorest 20 per cent of the population account for only 5 per cent of total income or consumption; about 44 per cent or over 40 million Filipinos are living on less than US$2 a day (Philippine profile: Australian government 2011). 2. In 1988, Dorothy warned that deepening class divisions could lead to greater rifts in Filipino society (Friesen, page 261). In 2011, deep divisions of rich and poor continue to exist. The percentage of the population living below $1.25 a day was 23 per cent or around 20 million people (Philippine profile: Australian government 2011). 3.In 1988, the Philippines pay 32.6 percent of its budget to pay its external debts. Dorothy commented that this is a prescription for trouble if a country uses most of its hard-earned currency to pay for foreign debt. In 2011, the Philippines still pays 31.8 percent of its budget to pay for external debts (Wikipedia 2011). 4. In 1988, genuine land reform needs to be implemented (Friesen, page 43). In 2011, land reform did not provide social equity that everyone hoped for. In fact, it exacerbated social inequality through distorted land markets, land rental restrictions, and decreased landowner ability and willingness to rent out the land. All these impediments may have reduced access to land for most of the landless farmers (Bello, The Political Economy of Permanent Crisis in the Philippines: page 82). 5. In 1988, US multinational corporations like Castle & Cooke continued to dominate agricultural exports including bananas and pineapples. Friesen argued that 87 cents of every dollar returns to the US as profits through liberal capital remittance scheme and just continues to exacerbate local poverty (Friesen, page 62). In 2011, US multinational corporations continue to dominate the agricultural export market. Key foreign markets to Philippine exports including bananas and exports remain closed to Philippine local companies, as the US continue to support double standards as requiring more safety standards or applying more tariffs or invoking other requirements for sanitation and disease control (Bello, pages 148-149). 6. In 1988, ownership of capital, technical knowledge and know-how are centered around US and international business partners. The Philippines’ only matchstick company was bought from a Swedish company and its imports 100% of all the equipment and spare parts from the earlier, European owner (Friesen, page 66). In 2011, the Philippines’ only matchstick company has updated its machinery but purchased it again from Europe and probably continues to import all the equipment and spare parts from the European manufacturer (Phimco Industries website). 7. In 1988, continued US military presence in the Philippines could be destabilizing to the country (Friesen, page 160). In 2011, 500 US troops remain in Mindanao, Philippines to train Filipino soldiers in counter terrorism; there were no signs of any timetable for withdrawal (China News Daily July 2010). Will it take another twenty-two years before someone paid attention to the suggestions that Dorothy Friesen wrote about? I hope not. This entry was posted in justice, Labor, Philippine poverty, Philippines, Poverty and tagged Philippine facts, Philippine poverty, Philippines. Bookmark the permalink.